Over the weekend it was revealed that Volkswagen has been placing a device in its cars to trick emissions tests. 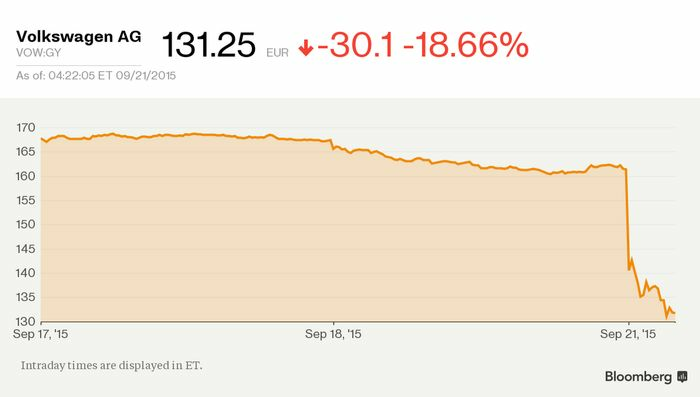 VW’s CEO has apologised for the ‘breach of trust,’ but it’s not just the German brand’s reputation that’s taken a hit; its share price has plummeted. You see that cliff to the right of the image above? That represents a massive 23 per cent drop in VAG’s share price, which equates to a scarcely believable $17.6bn (£11.4bn) wiped from its value. Interestingly, Bloomberg reports that both Daimler and BMW shares suffered their biggest drops in a month following the news. 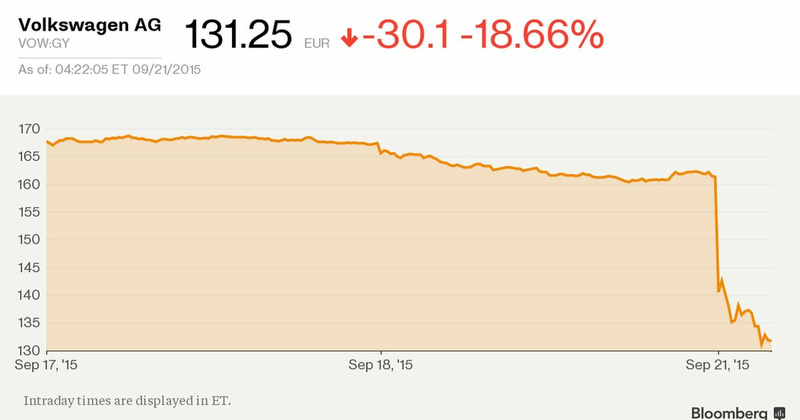 It remains to be seen what the consequences will be for Volkswagen and its senior staff. It could face a fine of up to $18bn in the US, while European investigators are keeping an eye on the case to see if any criminal activity has taken place.